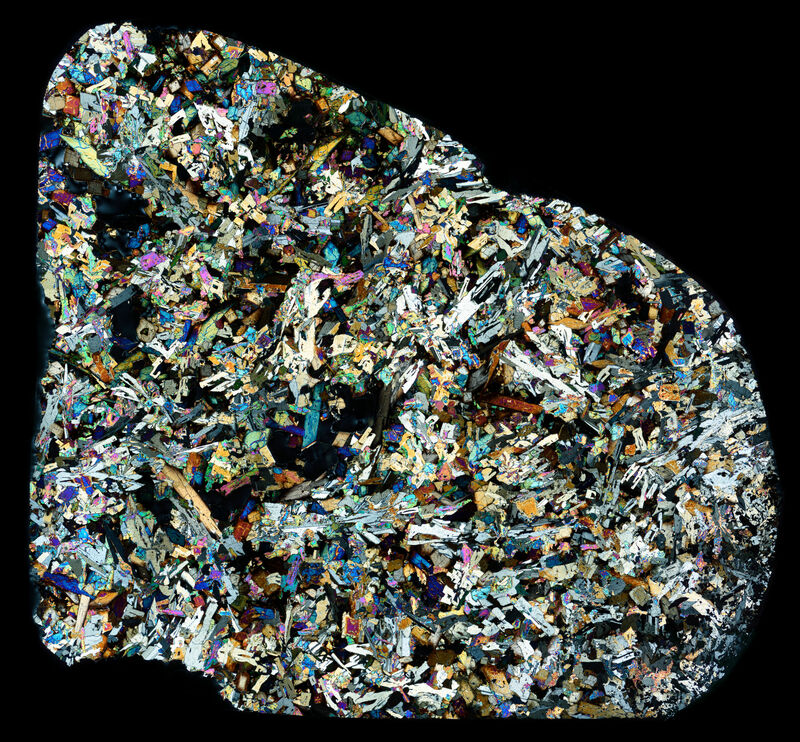 This is a thin section specimen of the D’Orbigny Meteorite. 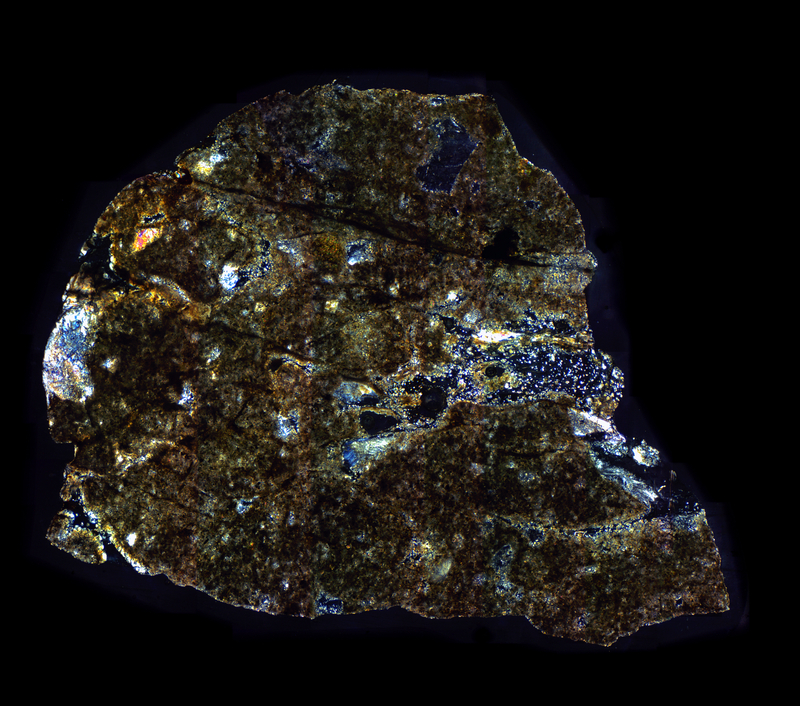 The thin section photographs were taken under cross polarized light using two linear polarizing filters. 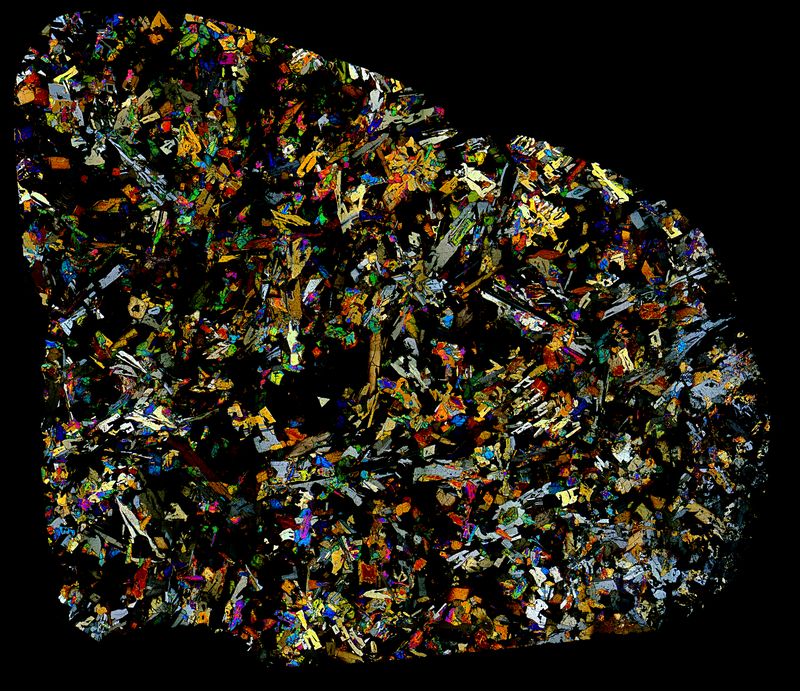 The first set of pictures is from a nicer CCD and microscope. For a good link to more Angrite pictures, see here. 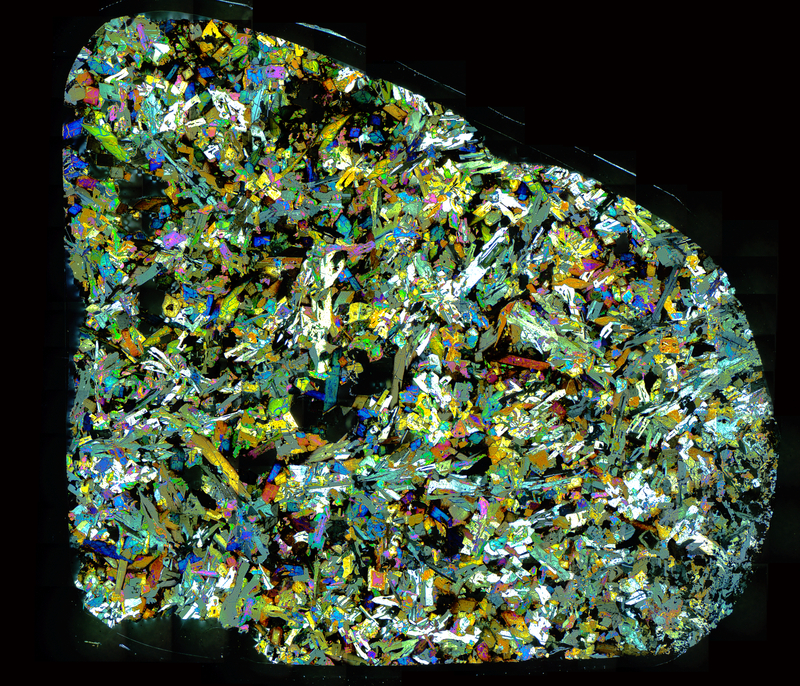 Angrites always look spectacular in polarized light. 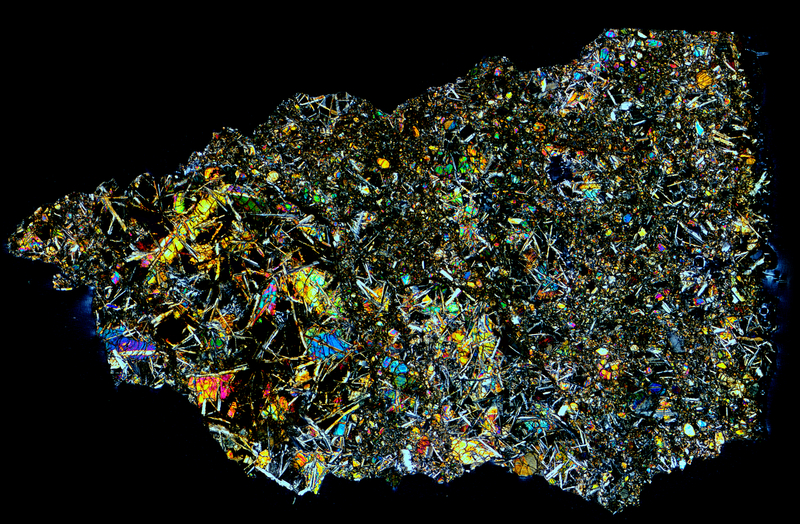 NWA 8687 Lunar Troctolite Meteorite.